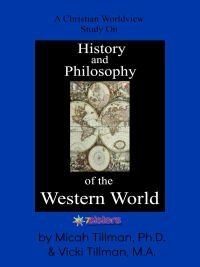 How to teach philosophy in homeschool high school co-op. *Start with a simple, understandable, fun text from a Christian worldview. When my oldest kids were homeschooling high school there wasn’t one out there. We cobbled together resources. It took my oldest son, Dr. Micah Tillman earning a PhD in Philosophy AND the local homeschool high schoolers asking him to write one to make it happen. 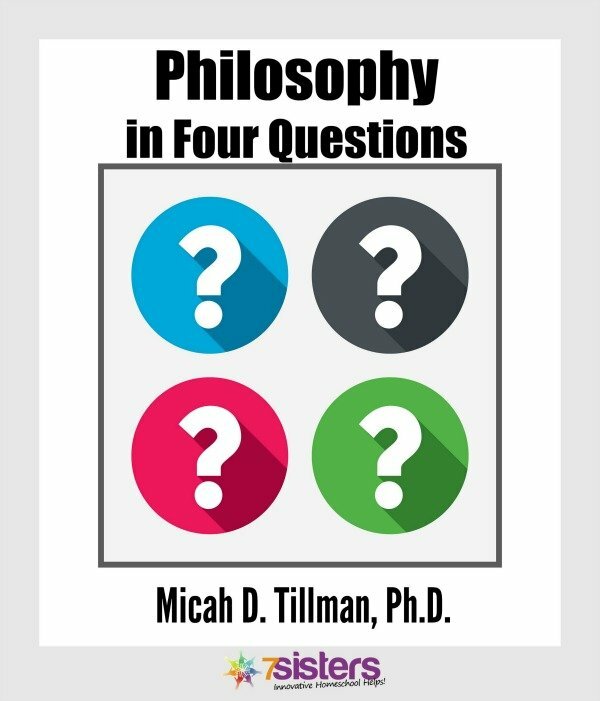 He wrote Philosophy in 4 Questions and the teens are loving it! *Create a syllabus covering 1 chapter per week (there are 30 do-able chapters in the text). *Each week, you can simply read aloud the material and discuss it with your teens OR have them do the reading on their own and hold the discussion on the material the week after they do it. *Have them listen to Top 40 Philosophy podcast every other week. 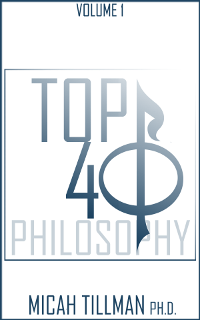 (This is Dr. Tillman’s fun but deep discussion of the philosophic concepts found in Top 40 pop songs over the years.) You could do this in class and discuss it OR they can listen out of class and discuss it in class. You could create a private facebook group for out-of-class discussion homework. 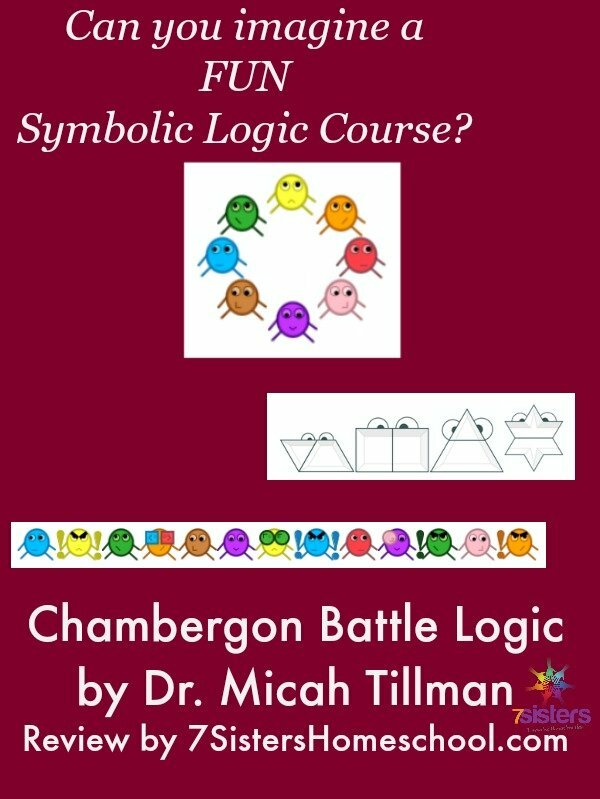 *Have them play the FREE Chambergon Battle Logic course that Dr. Tillman designed for his college students. An easy, fun way to introduce the logic component of thinking skills. *Have them listen to philosophy as advice for real life in Micah’s commencement address for his kid brother’s homeschool umbrella school graduation. Dr. Tillman’s *robot* reads the address for youtube. Discuss his ideas. Do your teens agree? When your co-op teens have had fun, meaningful adventures with philosophy, they will be better prepared for real life- now and in adulthood.